Taken during Friday's raids, this photo shows drugs, digital scales, smoking devices and other related materials recovered by agents. 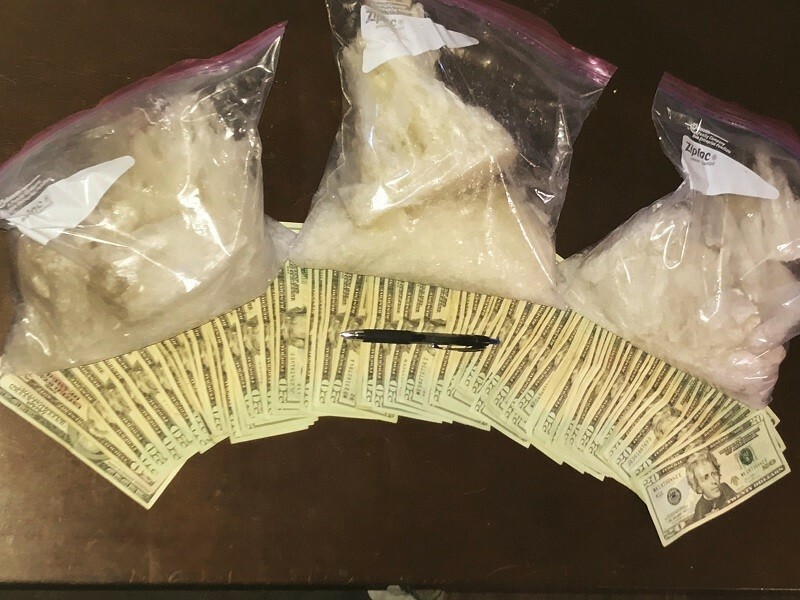 A major drug trafficking organization officers say distributed more than $3.5 million of methamphetamine in North Georgia over the past five months has been brought down. 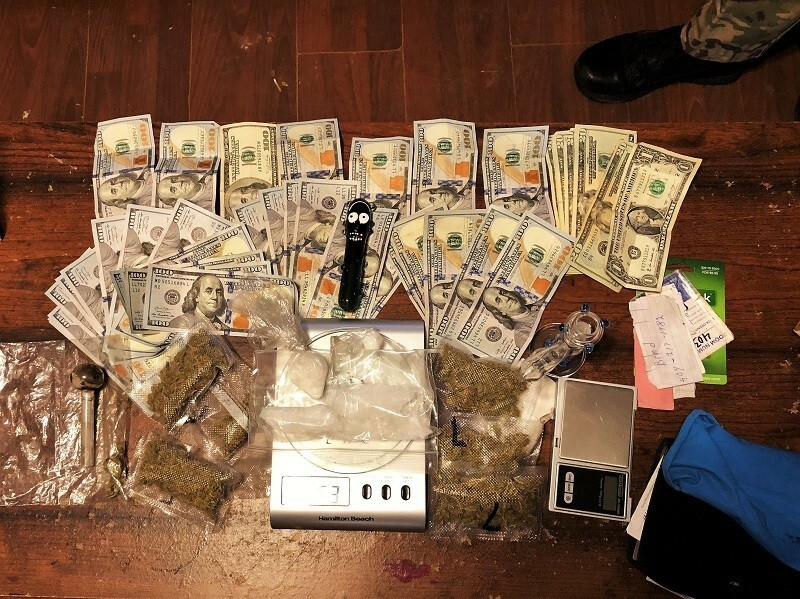 Federal, state and local officers served 10 search warrants and 14 arrest warrants for members and suppliers of Larry “Lil Man” Fricks’ drug organization, according to the Appalachian Regional Drug Enforcement Office (ARDEO). Interestingly, the man said to be at the helm of the trafficking organization did not handle the drugs. Officials credit interagency cooperation and information sharing with the success of the investigation. 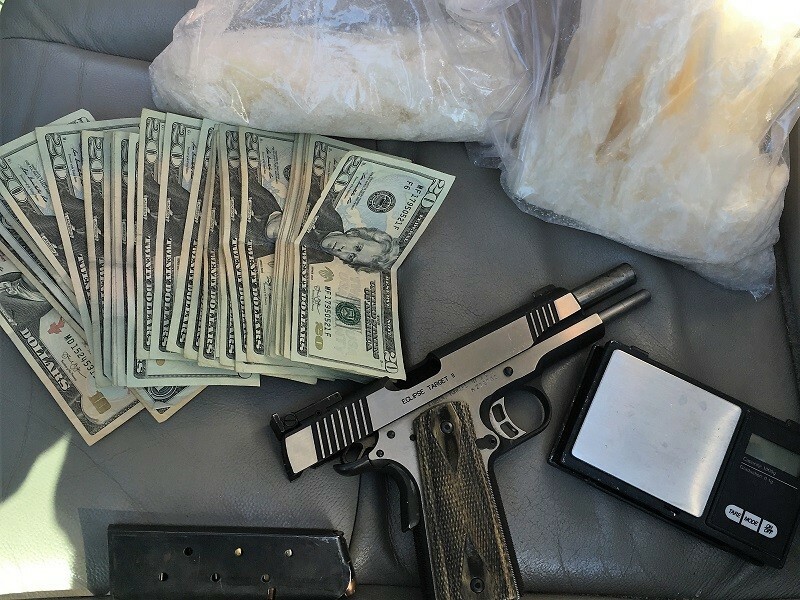 Friday’s efforts yielded nine pounds of methamphetamine, about $13,000, a “fairly large amount of firearms” and various vehicles that were used to facilitate the methamphetamine trafficking organization, according to Posey. Broken down to ounces, the street value of the nine pounds of methamphetamine is about $144,000, but that’s not how most meth is purchased. The sale of methamphetamine by the gram translates to at least $2.5 million in street value for the nine pounds recovered. William Dale Gray, 47, of Homer Road, Commerce. 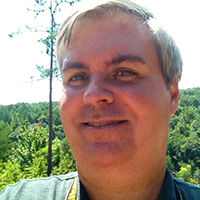 Over the course of the five-month investigation, the Banks and Jackson County sheriff’s offices, the Appalachian Regional Drug Enforcement Office (ARDEO), along with the cooperation of the Piedmont Judicial Circuit District Attorney’s office and the FBI’s North Georgia Major Offender Task Force, worked together to bring about Friday’s coordinated efforts to bring down the trafficking organization, according to Posey. “Multiple criminal charges will be brought against these persons under the Racketeer Influenced Corrupt Organization (RICO) statute,” according to Posey, who said Fricks and his organization have been active in Banks, Hall, and Jackson County and surrounding communities for many years. “This investigation indicates that the Fricks drug trafficking organization is responsible in five short months for the distribution of more than 100 kilograms of methamphetamine with a street value of $3.5 million,” according to Posey. All member agencies of ARDEO provided resources to the investigation and were assisted by sheriffs’ offices in Barrow and Hall counties, Commerce Police Department and the Georgia Department of Corrections. Officers continue to seek Rickie Nation, 59, of Carson Segars Road, Maysville. 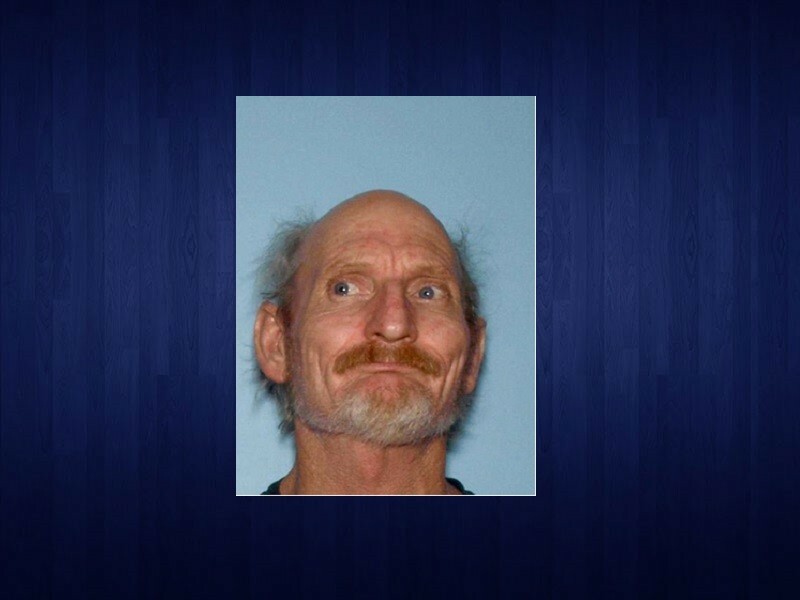 “We also know he frequented Hall County as well,” Posey said. Anyone with information on Nation’s whereabouts is asked to call their local police department or sheriff’s office, or ARDEO at (706) 348-7410.